Today I got some products from P2's new limited edition, 100% Red. I bought two of the True Explosion Lipstick Pencils, 020 burning red and 040 intensive pink and the Flamy Lip and Cheek. The pink one applies evenly while the red one isn't so easy to apply, you need to make sure to apply enough of the product everywhere to get an even result. Moreover, while the pink one doesn't taste like anything, the red one has kind of a unpleasant soapy taste. 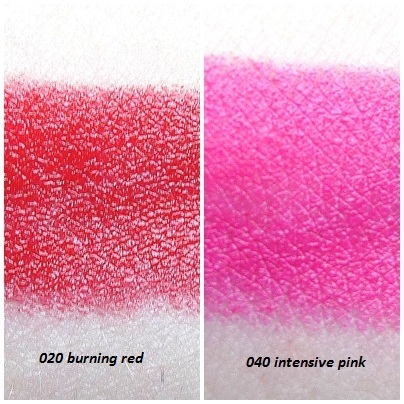 I definitely like the pink one better, I think it could be a good dupe for MAC's Candy Yum Yum (Temptalia) or Sleek's Amped. The product isn't as liquid as e.g. Benefit's BeneTint, it's more like a gel or something, it is deep red and you can use it either as a cheek or lip stain. 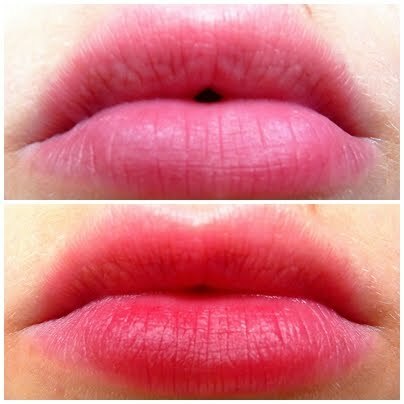 I have to say it is really persistent, it is hard to get rid of it once applied and you have to be quick when blending. 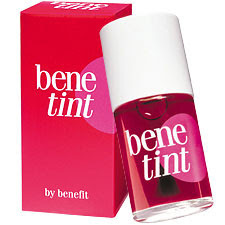 But I think it would be a great alternative to Benefit's tints and you can also use it for the "stained-lip look" which is really popular in Asia right now. You can't see a huge difference but it's great when you want some colour on your lips, just to "freshen them up" and you don't want to use a gloss because it's sticky. Well, this was it for my part..did you get anything from this limited edition? Do you like the products?